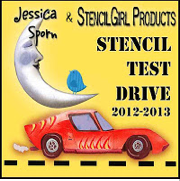 Welcome to another StencilGirl Stencil Test Drive with stencils designed by Jessica Sporn. 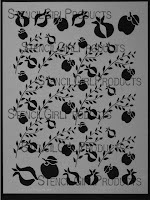 This time we are driving the Apples and Pomegranates stencil. I am going to be honest here and say that I struggled with what to make this time. In the end I decided to go back to my papercrafting roots and make some cards. I have to say, this is a awesome card background. I started with just some scraps of black cardstock and used light molding paste through the stencil to bring a little mixed media into the traditional papercrafting. This resulted in these two cards. I thought they had a really awesome texture and decided to leave them be. For the last card I decided to use the stencil with some Pitt pens. 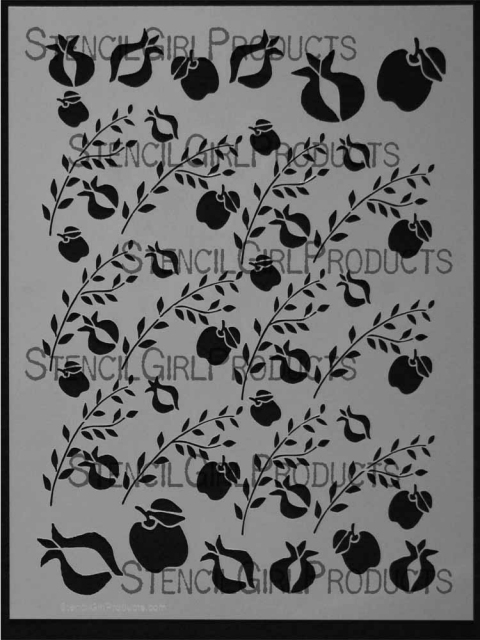 The branch part of the stencil kept calling me :) I cut a white circle and marked the center point. 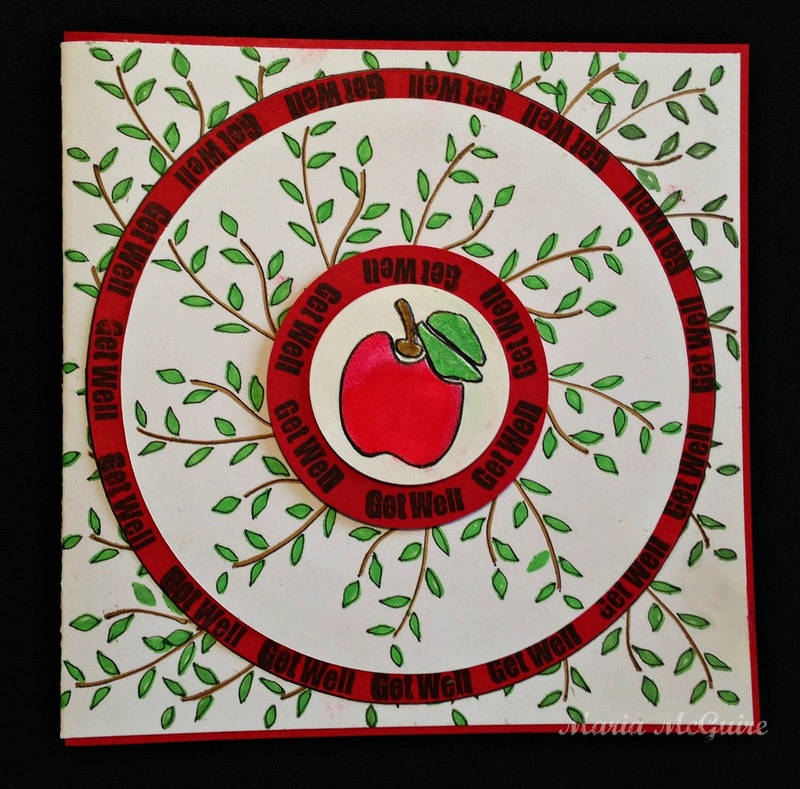 With the end of the branch on the center dot I traced the stencil each time moving it a little more around the circle. 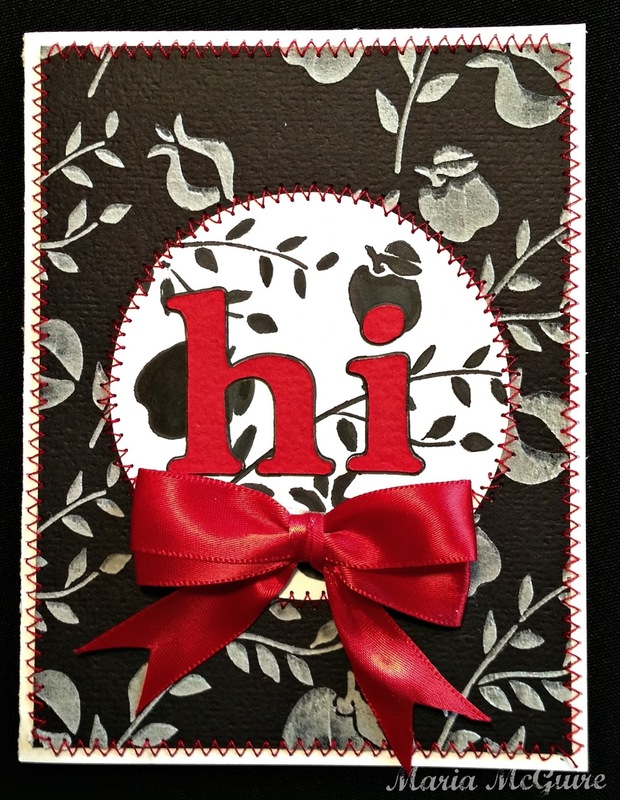 It is fun to look at stencils in another way and bring them into other things you like to do like making cards. Maria.. what beautiful cards here... really. Anyone getting a card from you would be blown away. Did you actually sew the red zig zags? lovely cards!! 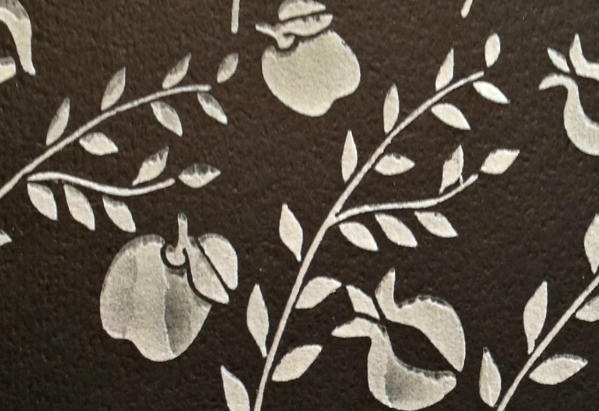 great job showing the versatility of this beautiful stencil! 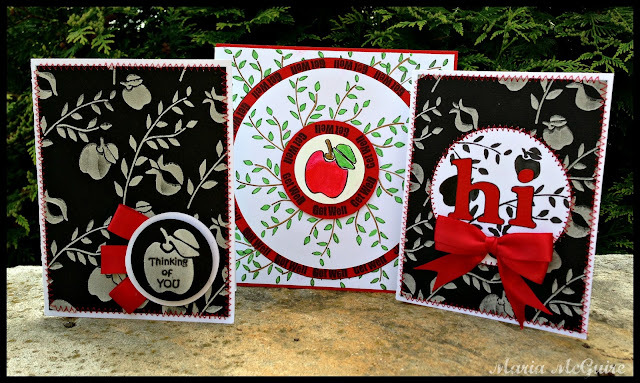 Great cards, Maria! I especially love the one where you used only the vines.... such a different and unique look! Your red with the circles grabs my eye! I love how you've got touches of the red that make your design pop!